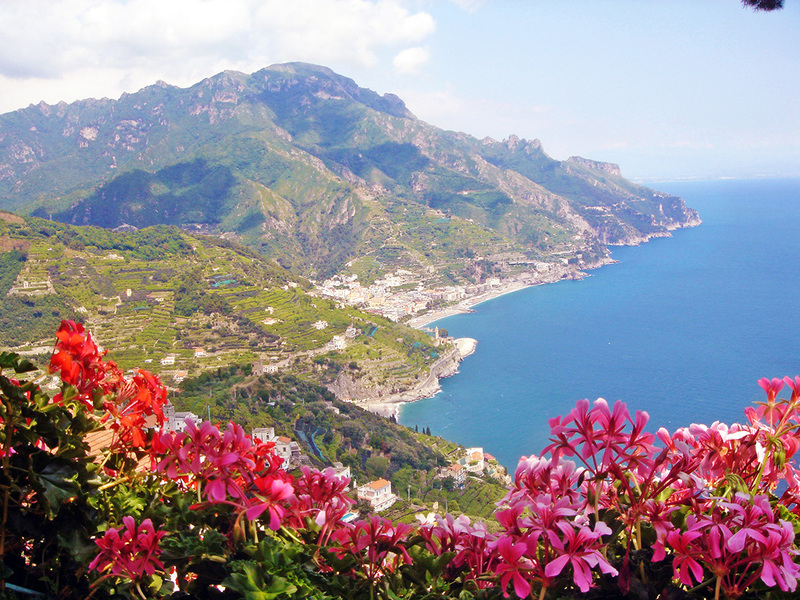 The Amalfi Coast is probably Italy’s most beautiful coastline, and tourists have flocked to the Amalfi Coast for centuries. And recently, it’s amazing network of footpaths has been discovered as well. Rightly, because walking along the Amalfi Coast is something one has to do at least once in his or her life. 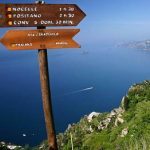 For the more seasoned walker, or for those who have been (walking) on the Amalfi Coast already, Genius Loci Travel has developed this special tour, which brings you not only along the famous coastal resorts, but as well make you discover a number of ‘hidden treasures’ of the Amalfi Coast. 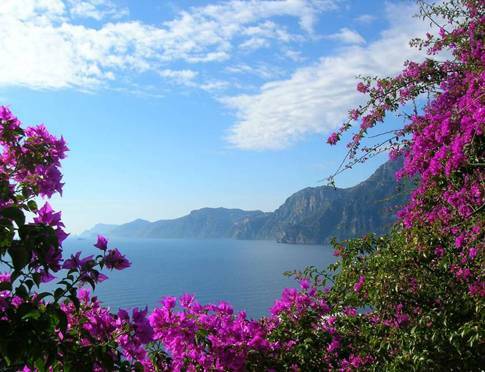 Also your overnight stays are equally divided between the two most famous resort towns, Amalfi & Positano, and beautiful quiet locations, off the ‘beaten track’. As the Sorrento Peninsula, of which the Amalfi Coast is the southern side, is basically a high mountain chain emerging from the Mediterranean, the landscape of the Costiera Amalfitana is immensely varied and surrounded by infinite ever changing views. Along the coast it can be typical Mediterranean, with numerous species of wild perfumed herbs, myrtle shrubs, thyme, rosemary and mastic trees. And as it is protected from the cold northern winds by the impressive mountains, it has a wonderful climate & flowers all year long. More inland it can be almost alpine with meadows and bare rocks. In between man has created a mosaic terraced landscape, which nothing can compare with. Amazing lemon groves and vineyards looking out over the clear sea. And there’s cultural heritage abound, beautiful little churches, ruins of castles and old farmhouses are found all over… The Costiera Amalfitana is definitely Europe’s most dramatic stretch of coastline ! 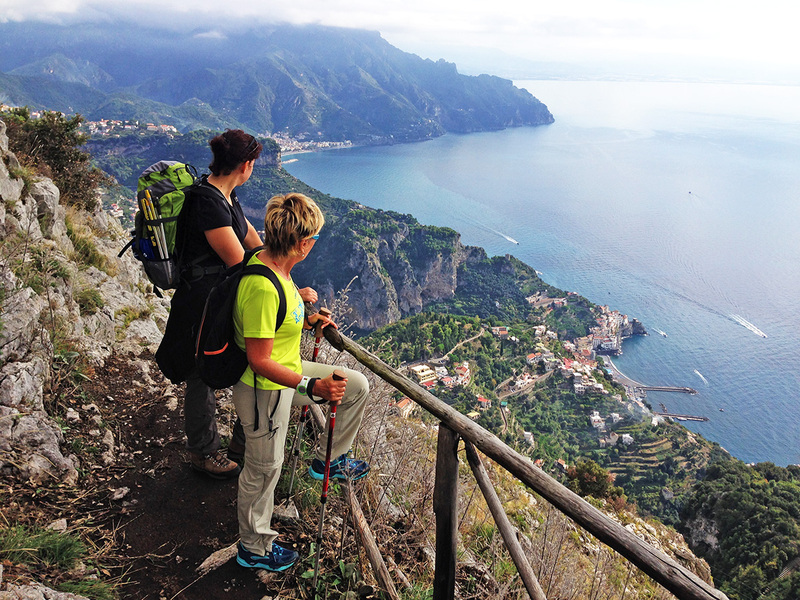 And the best thing is, everything can be discovered on foot, as there are thousands of footpaths on the Amalfi coast. 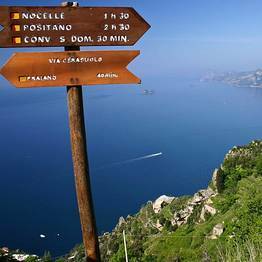 Some of which have become famous, such as the “Sentiero degli Dei”- the “Pathway of the Gods” – or are at least a thousand years old, like the “Maestra dei Villaggi” – the ‘main road’ of the Republic of Amalfi. But also the lesser known paths are just as beautiful! 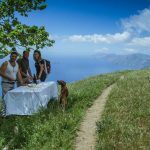 Going from the sea to the mountains or vice versa, there are always stupendous views, and you’ll walk through little villages, vineyards and olive groves, Mediterranean scrubs and woods, living rocks and chestnut woods. This special tour shows you the paths most guides don’t know about and most books don’t write about! 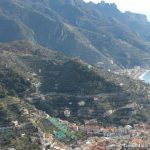 This is the perfect tour for those who want to discover the real charm of the Amalfi Coast, but do as well want to see some of the famous spots. Of course you’ll have the time to visit the villages which are a must to see: Amalfi itself, but also Atrani, wonderfully preserved through the centuries, Ravello with its magnificent villa’s and of course the scenic and fashionable Positano. You will walk mostly along well maintained footpaths, often paved alleyways, through attractive countryside, with wonderful terraced lemon groves, vineyards and cultural treasures like rural chapels, ancient farm houses, old water mills and wonderful villa’s and villages, where you can sit down and relax with a drink. 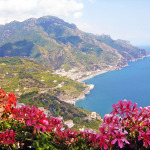 On this tour you will discover that not without reason the Amalfi Coast has become Italy’s most famous coastline. 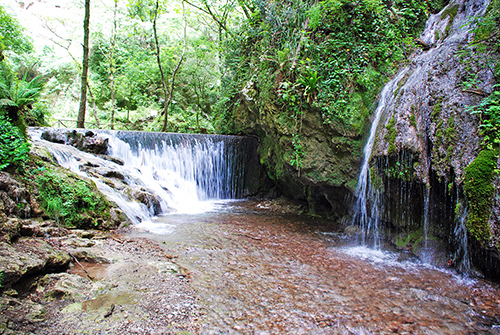 But as well that it takes only a little effort to get ‘off the beaten track’ and will find yourself surrounded by nature. Arrival in Naples (airport) or Salerno (train station). You are met by a taxi (optional) and brought to your hotel in Scala. If you wish you can already pay a short visit to the town centre and maybe a swim in the panoramic pool to wash off the tiredness of the journey. 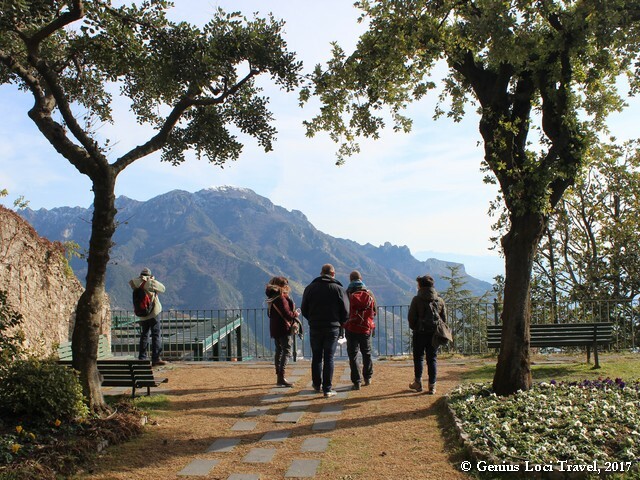 Today you make a short first roundwalk, towards Ravello, one of the highlights of the Amalfi Coast. 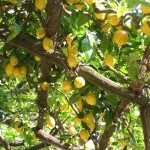 Directly from your hotel you make a steep climb up to the small hamlet of Torello, through lemon groves and vineyards. 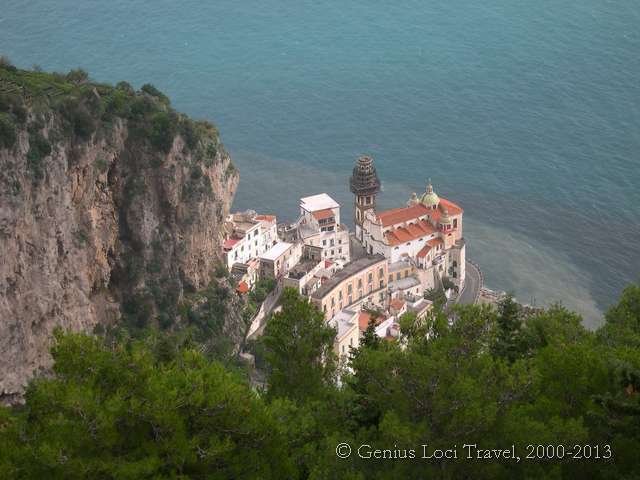 Then, along a very scenic path, you continue the way up to Ravello. The French novelist, André Gide, once described the town as being ‘closer to the sky than the seashore’. For centuries, its lofty position and sunny, dry climate has made it an appealing place to writers, artists, musicians and travellers. Boccaccio, DH Lawrence and Richard Wagner are among the more notable guests who have succumbed to its spells. While staying her, Wagner composed parts of his opera ‘Parsifal’. Ravello also boasts two magnificent villas – the superb 11th Century Villa Rufolo was once a papal residence and later, the home of Wagner, and Villa Cimbrone, a sumptuous 19th Century mansion with fabulous gardens and unequalled views over the Gulf of Salerno. From here you retrace your steps and return to the hotel. 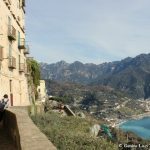 For those who want some more walking, there is the possibility to descend along a steep mule track and head down to the delightful coastal village of Atrani. 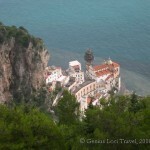 Atrani is probably the best-preserved town on the Amalfi Coast, with narrow little streets and serene town square. 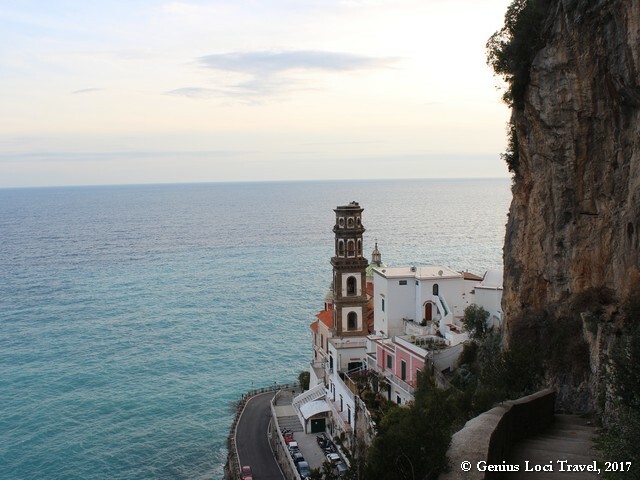 You can stop in Atrani for a drink before walking on to Amalfi. 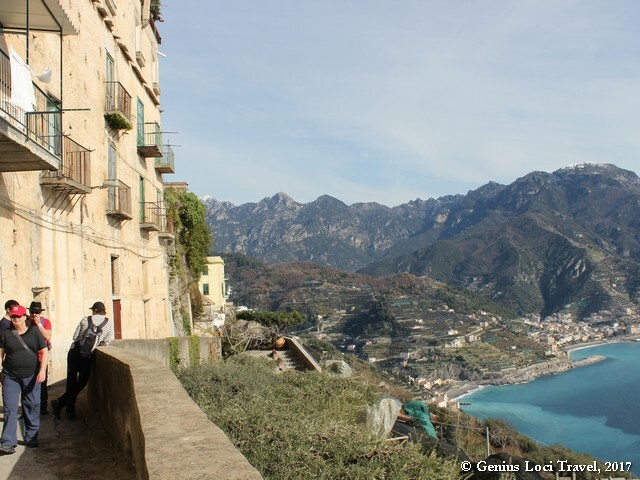 This walk, along a wonderful medieval mule track, high above the coast, offers great views over both Atrani and Amalfi. From Amalfi you then take the local bus back to Scala. 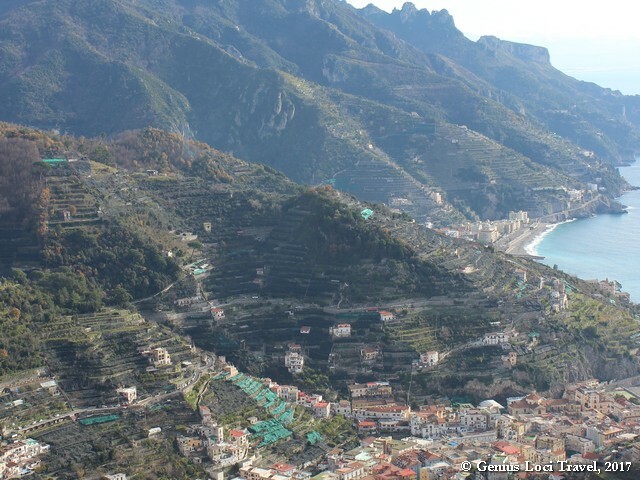 Today you walk down to Amalfi, along an incredible scenic path, through the higher parts of one of southern Italy’s most interesting nature reserves, the ‘Valle delle Ferriere’. 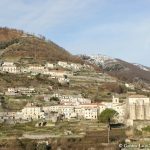 First you walk up to the small hamlet of Campidoglio, from where a comfortable – almost level – path leads into the Valle delle Ferriere. 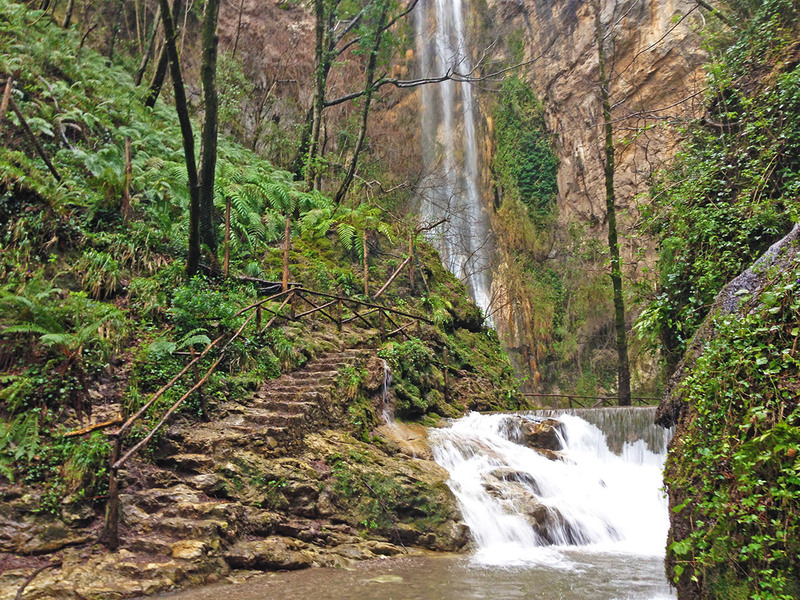 You will see some spectacular scenery, walking over comfortable footpaths underneath the towering cliffs, and passing close to some little waterfalls. If you dare, there is even the possibility for a swim. 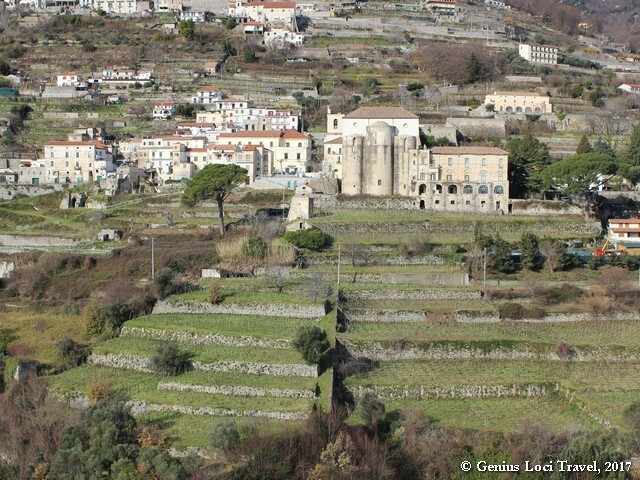 Then through the forest, you descend to the little village of Pogerola, dominating the valley of Amalfi from the west. From here you take a beautiful medieval staircase, which also offers nice views over the valley, down to the centre of Amalfi. Through a number of wonderful alleys you then end up in the main square, Piazza Duomo, and you can settle in your hotel in the town centre. Today is a special day, which really gives you a good idea of the amazing cultural and natural heritage of the Amalfi Coast. The first part of the walk takes us into the quiet little back alleys of Amalfi, where you still notice the strong Moorish influence. An ancient staircase takes us up underneath the impressive limestone cliffs, towards the little village of Pontone, part of the medieval defence system of the city of Amalfi. 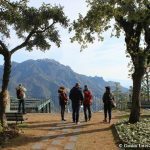 An a narrow ridge, in a park like landscape we walk to the spectacular Torre dello Zirro, which is a marvellous picnic place, with unforgettable views of Amalfi to the one and Atrani to the other side. 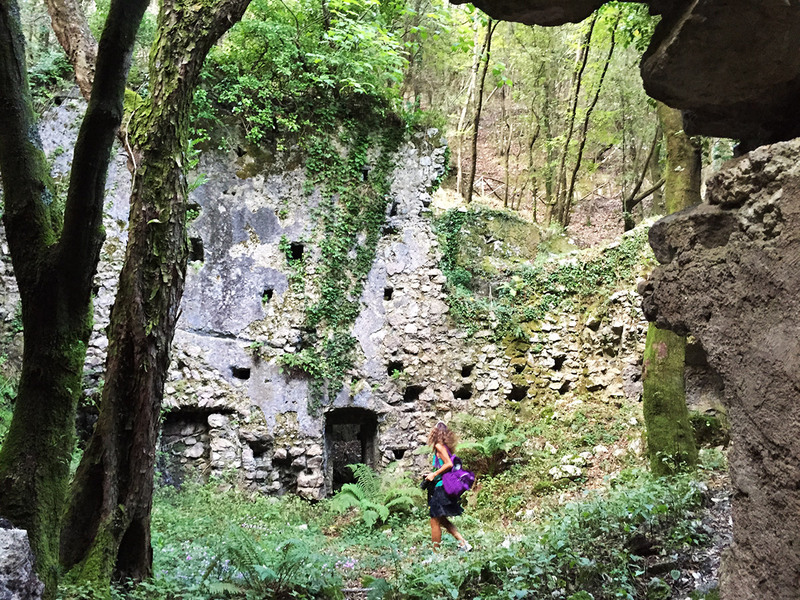 Then we descend into the ‘Valle dei Mulini’, the valley of the watermills, with its ruins of Europe’s most ancient paper fabrics, dating back to the 11th century. The easy path runs along the river course, in an abundant green, almost un-Italian, landscape. 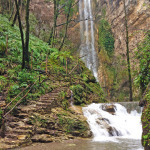 Those who want can penetrate deep into the valley, to admire a number of beautiful waterfalls. 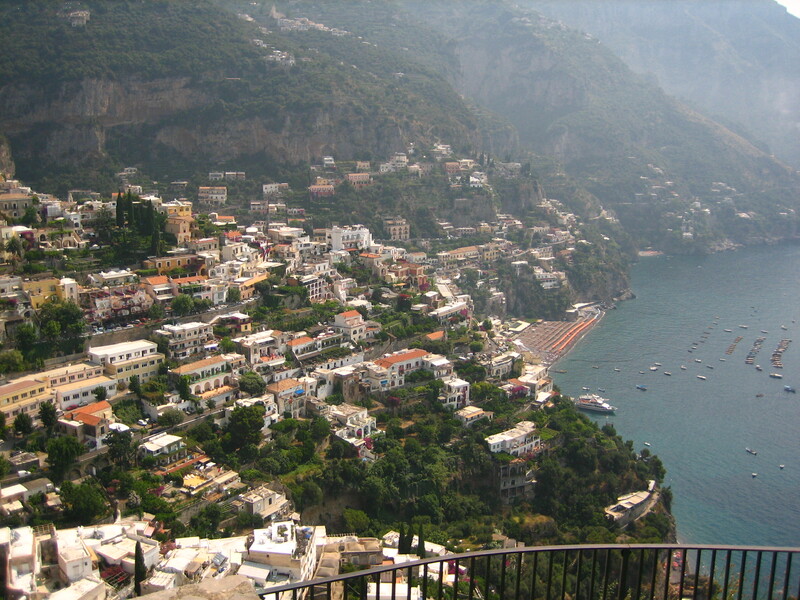 Then we return back down to Amalfi. 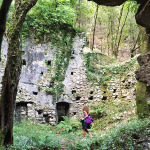 Along the path there are many impressive ruins of what once were the first paper mills of Europe, adding a mysterious touch to the landscape. Back down in Amalfi we pass the paper museum, before returning to our hotel. To gain some altitude, today you first take local bus to Pogerola (or you can walk back the route you came down from Scala – an optional strenuous walk). 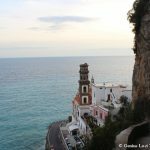 From Pogerola you then climb up to the small church of Madonna dei Fuondi, from where you have impressive views over the whole coastline. 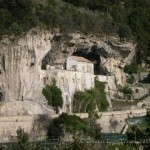 Another short stretch uphill brings you onto one of the area’ s long distance paths, that of the ‘Valle delle Ferriere’. Walking along this comfortable footpath, at times through chestnut forests and deep valleys, and partly along the edge of the high plain with marvellous views over the whole coast and Capri, you reach the small village of San Lazzaro, on the plain of Agerola. Those who want can make a short detour to the impressive ruins of the Convent of Cospiti, founded by St. Francis. 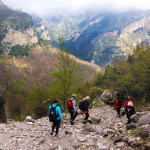 After a short stop in San Lazzaro a very scenic path, underneath the towering cliffs, takes you into the higher part of the ‘Fjord’ of Furore, one of southern Italy’s most spectacular canyons. 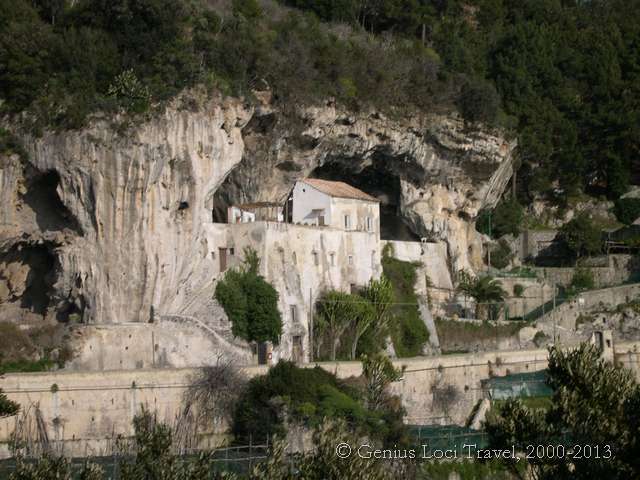 The path then gradually ascends through a terraced area towards the scattered houses of the village of Furore. Along a flight of steps you then gain another few metres and reach the rural outskirts of the village of Bomerano, where your comfortable agriturismo is located. Here you will spend the next two nights. 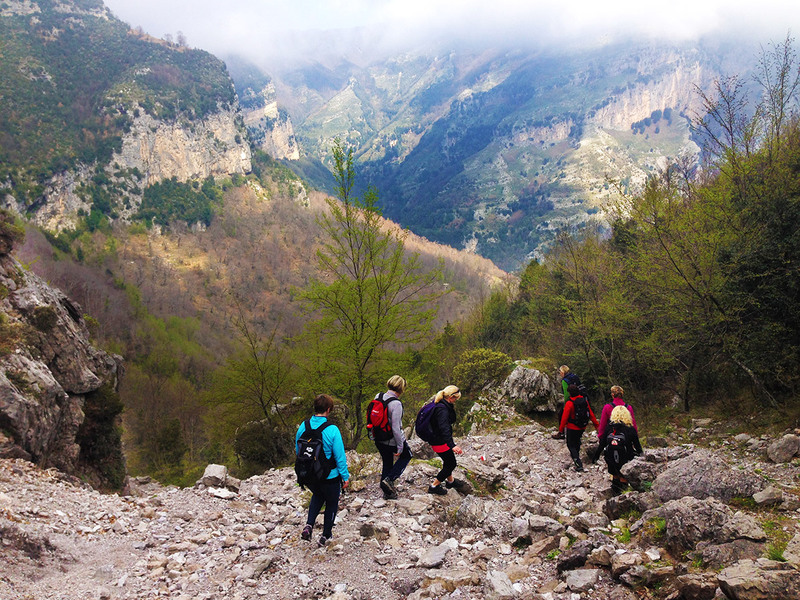 Today’s walk brings you into the mountains above Bomerano, towards the highest peaks of the Amalfi Coast, from where views are perhaps even more beautiful than from the famed ‘Sentiero degli Dei’. The first part of the walk is a relaxed stroll through the charming village of Bomerano, but then, through vineyards and chestnut forest, the path starts to climb up to the Monte Tre Calli. After about an hour walking uphill you reach the ridge of the Monte Tre Calli, from where views are unrivalled, at 360 degrees! A fantastic scenic walk takes you along the ridge, through meadows and forest, to a natural rock formation known as the ‘mushroom’. For those who want there is the option to continue towards the highest mountain of the area, the Monte Sant’Angelo, from here. Otherwise you can opt for a relaxed picnic lunch. Then you start the descend then towards the little chapel of the ‘Virgin of the Silence’, from where you will enjoy magical views on Positano Along an easy road you then walk back from there to your agriturismo. Also the views along this route are grand to say the least. 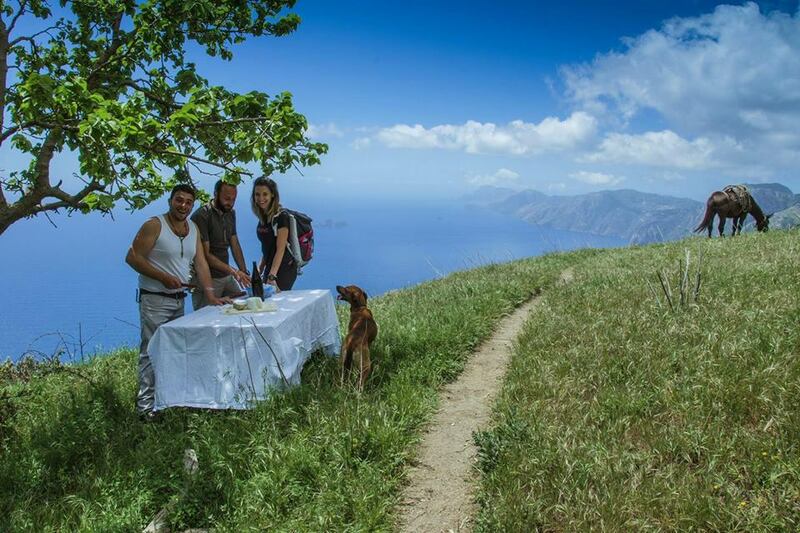 Directly from your agriturismo you walk onto the most famous footpath of the Amalfi Coast, the ‘Sentiero degli Dei’ (Footpath of the Gods), a walk with unrivalled views. After a first beautiful stretch through terraced vineyards and ancient house you reach Colle Serra, where the views open up towards the other end of the peninsula: from the monastery of San Domenico, set in stupendous scenery, dominating the coast from its hilltop, until the island of Capri. Follows a very panoramic stretch, through spectacular scenery with bizarre rock formations and luxurious vegetation. Here the ‘Footpath of the Gods’ really lives up to its name! 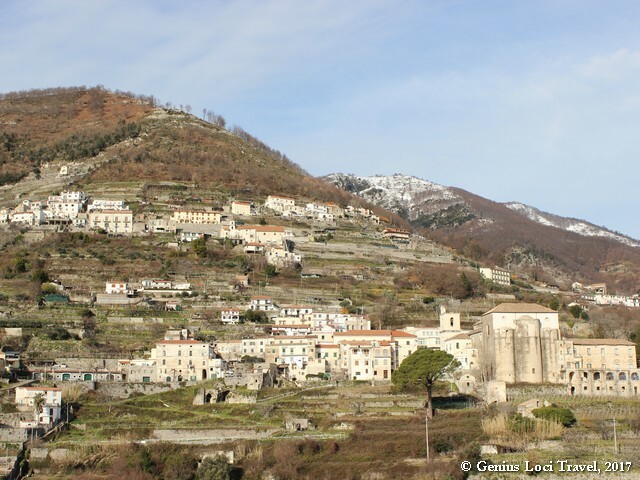 Then you reach the charming hamlet of Nocelle, and passing yet another spectacular valley, you’ll arrive in the little village of Montepertuso. After Montepertuso it’s only a short walk downstairs to Positano itself, one of the most charming villages of the Coast. 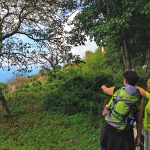 Today you take a local bus up to Montepertuso, from where you start a great day walk, all around the valley of Positano. 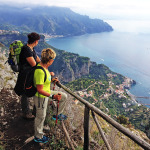 Following ancient footpaths through the forest and along marvellous viewpoints you climb up towards Santa Maria al Castello, the fortress defending the narrow valley between the Amalfi and Sorrento side of the peninsula. 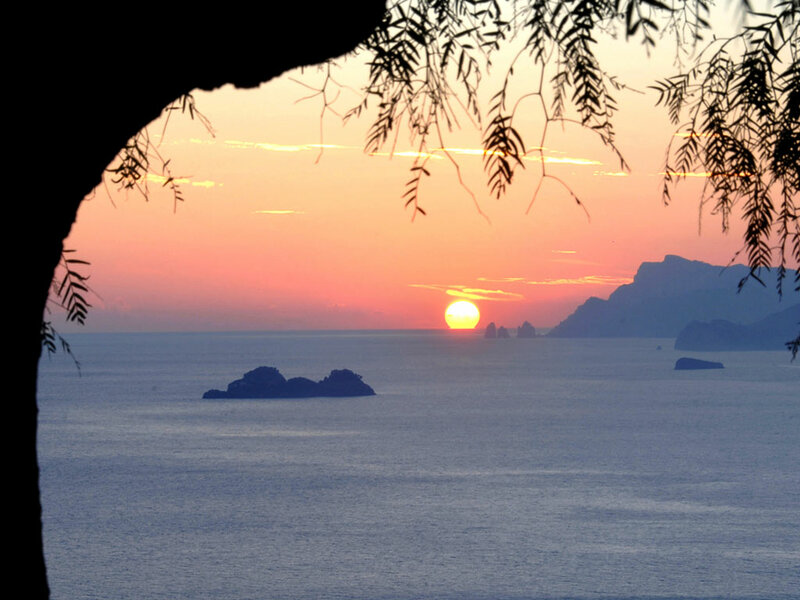 From here you can admire both the Gulf of Salerno and the Bay of Naples. 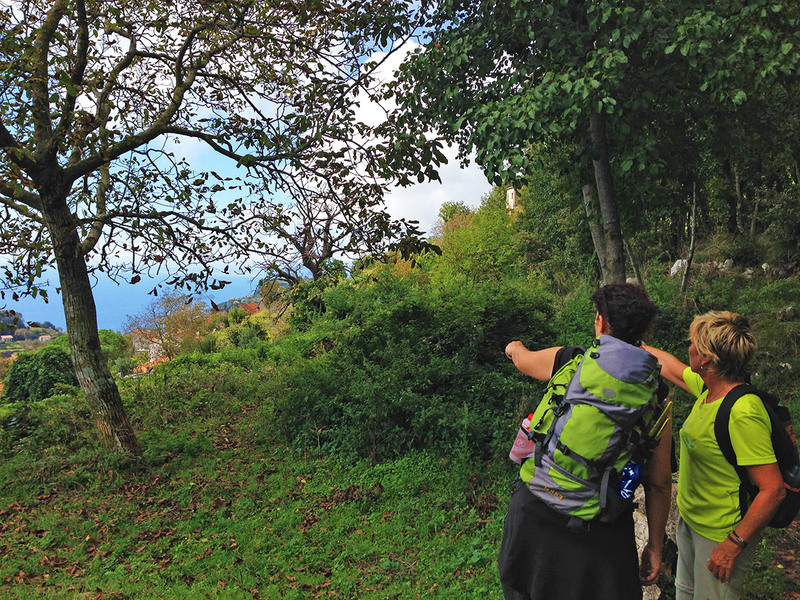 Through a nice park like landscape you then walk along an easy trail to the Caserma Forestale, the foresters’ house. 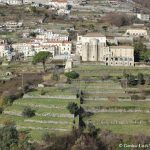 For those who want there is the possibility to climb up from here to the Monte Sant’Angelo, the highest mountain of the peninsula, a very demanding but rewarding ascent. The standard walk though, continues through the forest and with a number of zigzags descends down to Montepertuso. 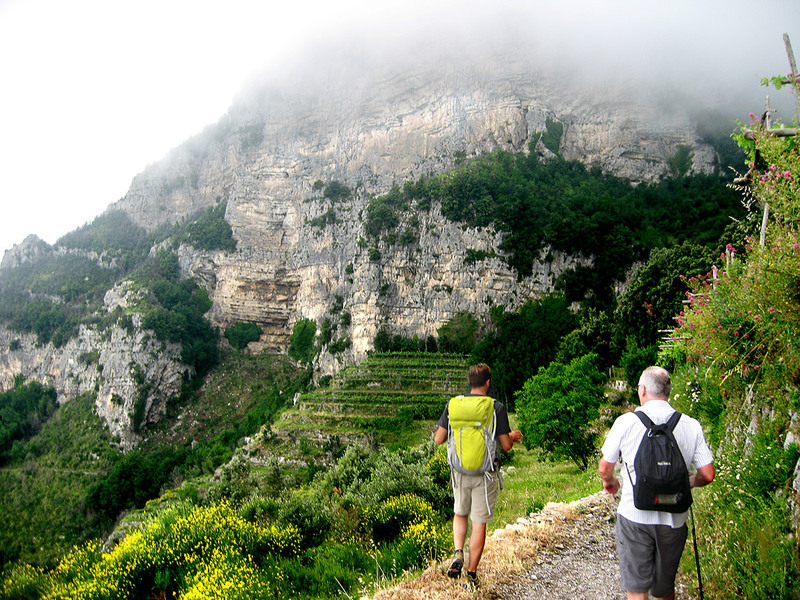 Along another medieval mule track you descend back down to Positano. End of the tour. 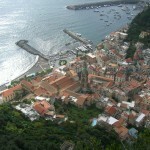 Return to Naples/Salerno by taxi, boat or bus or extension of the tour. All nights are spent in beautiful, characteristic family-run hotels (generally 3-star; 4/5-star on request). All rooms have en-suite facilities. Accommodation is generally on B&B basis, in all accommodations. Only on the arrival night in Scala (and on request – the first night in Agerola) you are on half board-basis. When dinners are not included, you will be free to organise your dinner. You can either eat at the premises of the hotel (on some occasions) or choose from the wide choice of restaurants in the area. Your accommodation holder can give you good tips. Nights 1 & 2: The first two nights are spent in Scala, the oldest town of the Amalfi Coast, in a welcoming and comfortable 3-star hotel, with a great panoramic pool and a genuine kitchen. Nights 3 & 4: These nights are spent at Amalfi, the ancient capital of the Amalfi Coast, either in a welcoming and comfortable 3-star hotel, or in a small charming family run hotel right on the (private) beach. All hotels are at walking distance from the seashore and all main monuments of the medieval town centre. 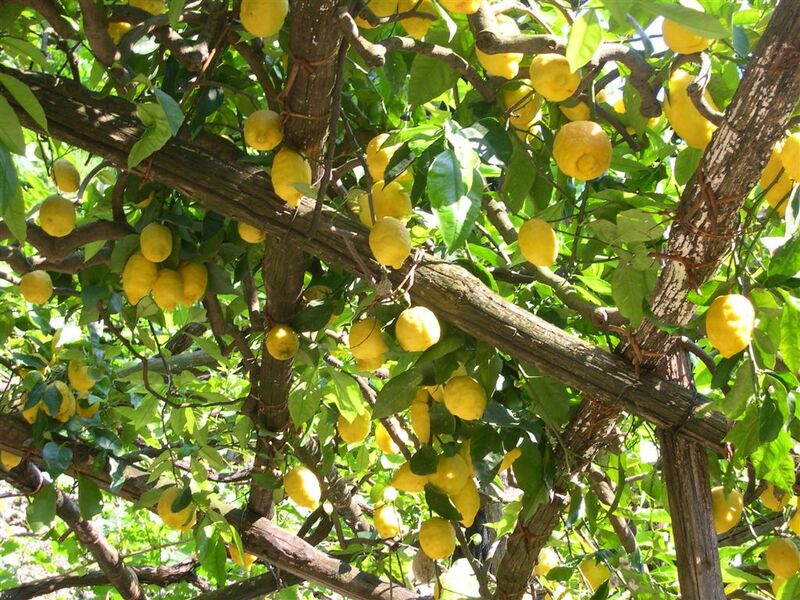 Nights 5 & 6: The next two nights are spent in the small village of Bomerano, on the high plain of Agerola, overlooking the Amalfi Coast, either in a beautiful agriturismo, or at ‘family houses’, all with comfortable rooms with en-suite facilities. Nights 7 & 8: The last two nights are spent in the romantic & fashionable little village of Positano, with its characteristic houses built onto the steep slopes of the mountains. You stay in a comfortable 3-star hotel. 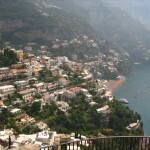 All hotels are at walking distance from the seashore (along Positano’s charming streets/stairs). 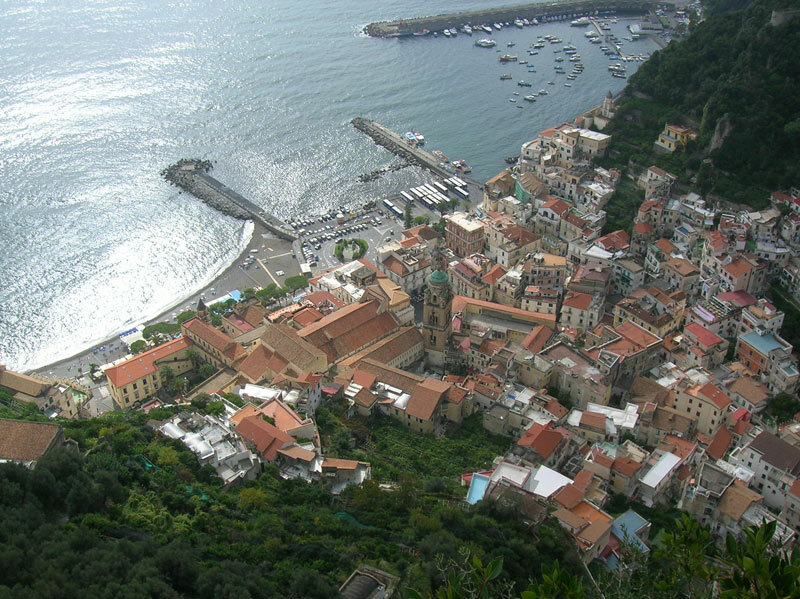 Arrival: The tour starts in AMALFI, connected with Salerno by a frequent bus (and boat) service and with Naples by a less frequent bus service. In Summer there are direct boats from Naples. A taxi pick-up service can be arranged either from Naples (airport or train station), or from Pompeii or Castellammare di Stabia, which can both be easily reached from Naples, with the local Circumvesuviana train. Departure: The tour ends in Positano. A frequent bus service can bring you to either Sorrento or Amalfi/Salerno, from where you travel to your next destination (Naples, Salerno or Rome can all be easily reached). Several taxi services are available to bring you directly to your next destination. At the beginning or the end of the tour there is also an opportunity to visit Naples and/or Pompeii, or spend some time on the beach. 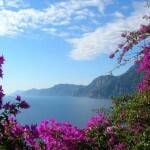 The tour can easily be extended with a few days in Naples or on the island of Capri (see tour variations). Several good accommodations are available. Details and prices on request. Shorter, 6-, 7- or 8-day versions of this tour are also available. Prices on request. It is possible to include extra nights in any of the accommodations en route. Extra walking options will be provided !!! At the beginning or the end of the tour there is the opportunity to visit Naples and/or Pompeii, or spend some time on the beach. 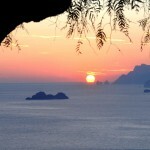 The tour can easily be extended with a few days in Sorrento, Naples or with a few days on the island of Capri. Several good accommodations are available. Details and prices on request. To make just a brief visit to Capri you can also book an extra night in Positano, as there is a direct boat from Positano to Capri.